A hunt has been launched for a thief who walked away smiling after stealing the blue lights from the top of a police car. 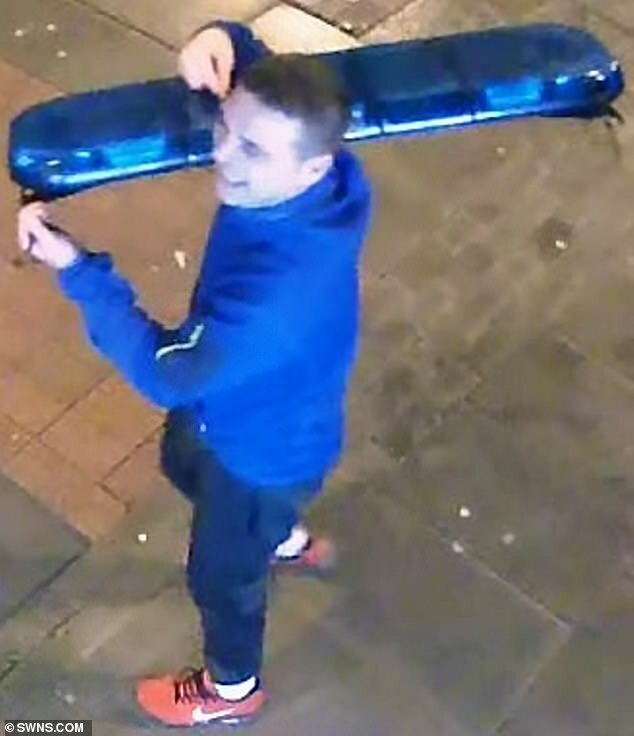 British Transport Police has released CCTV in a bid to track down trace the man, who can be seen carrying the cylindrical blue light over his shoulder and looking happy with himself. 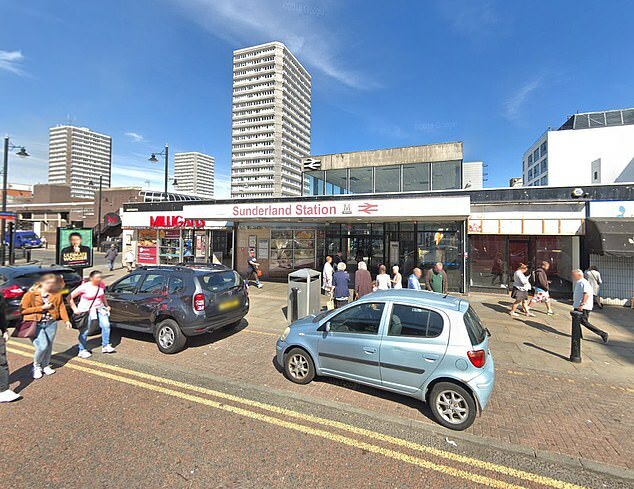 The incident happened at Sunderland Railway Station just before 4.30am on Boxing Day. Officers are now appealing for any information that could help track down the culprit. 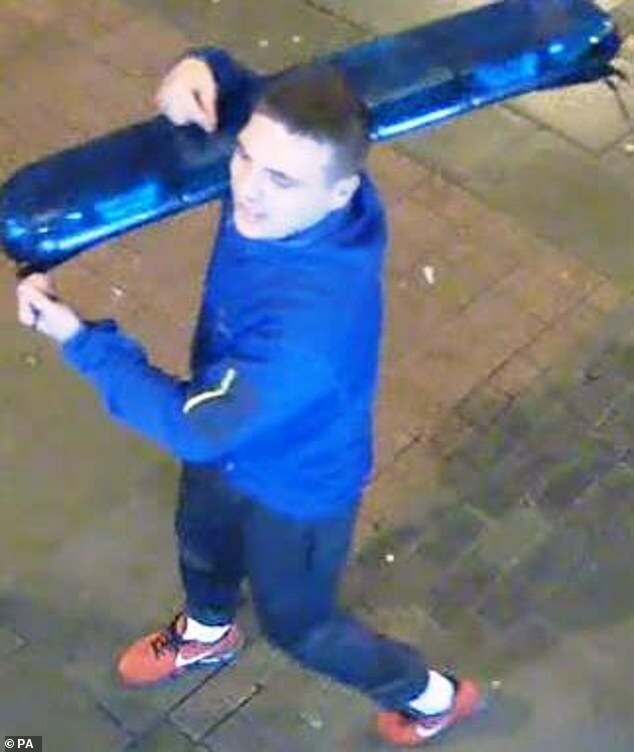 He has dark hair, and is wearing a blue top, navy trainers and red Nike trainers in the CCTV image. A spokesman for BTP said: ‘Officers have today released CCTV images of a man after police lights were stolen from a car at Sunderland Railway Station. ‘The incident happened at 4.29am on Wednesday, December 26, 2018.